Aluminium lacquering is a special treatment used to protect the surface of the profiles with a layer of powder paint. 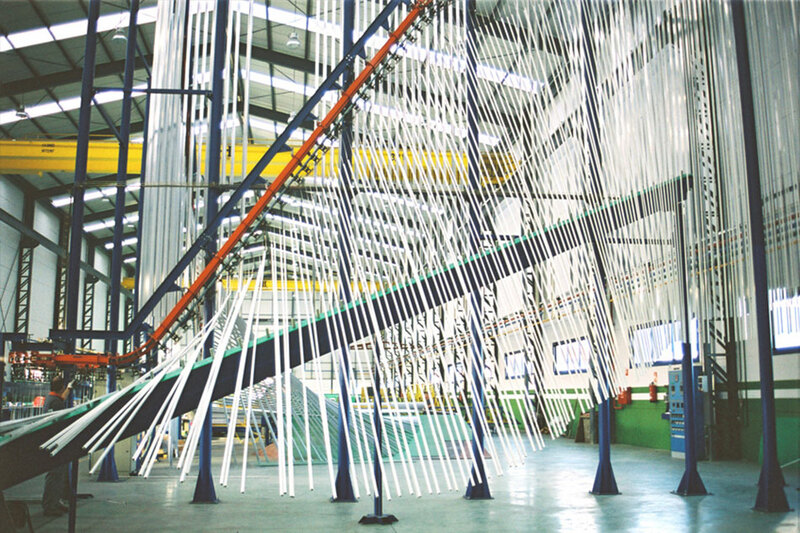 The lacquering process begins by placing the profiles on the lacquering line which guides them through all the processes required to obtain a top quality lacquer finish. The surface of the aluminium profiles is treated so as to guarantee that the paint adheres well later. The painting phase is performed using two vertical cabins which project the powder onto the profiles, to which it adheres via static electricity. This part of the process is of key importance for controlling the mass and the perimeter of the profile in order to guarantee a constant thickness of paint, which is always greater than that required by the most demanding quality standards. 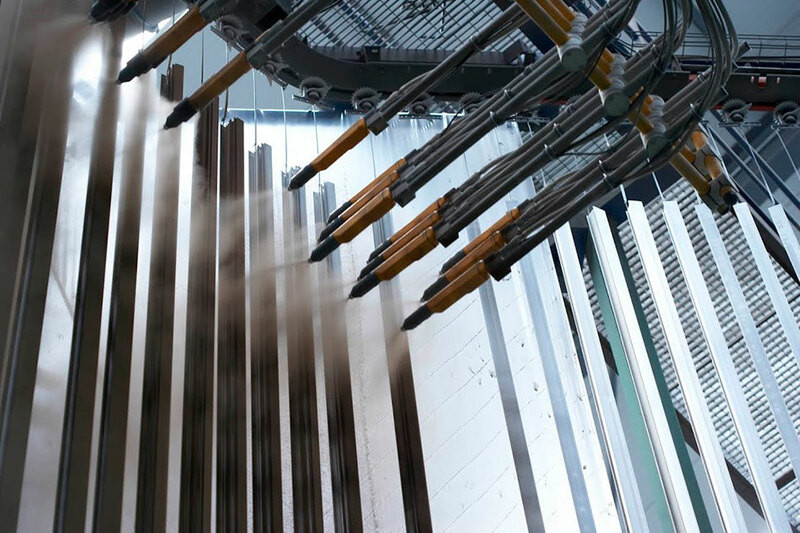 The bars then travel through an infra-red oven entering the last stage of the lacquering process, which involves treatment at 190ºC in which the paint (initially powder) is polymerized forming a solid layer of the highest quality, the profile’s final finish. 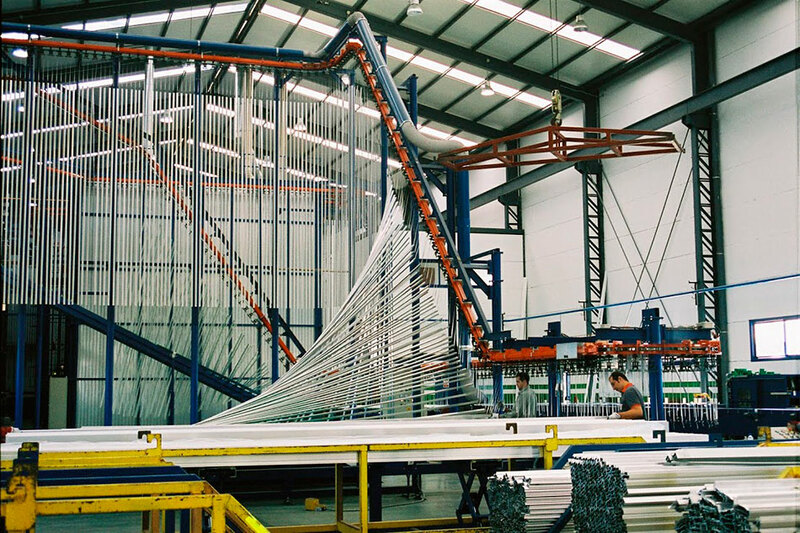 This process can be used for pieces and profiles of up to 7.5 metres.